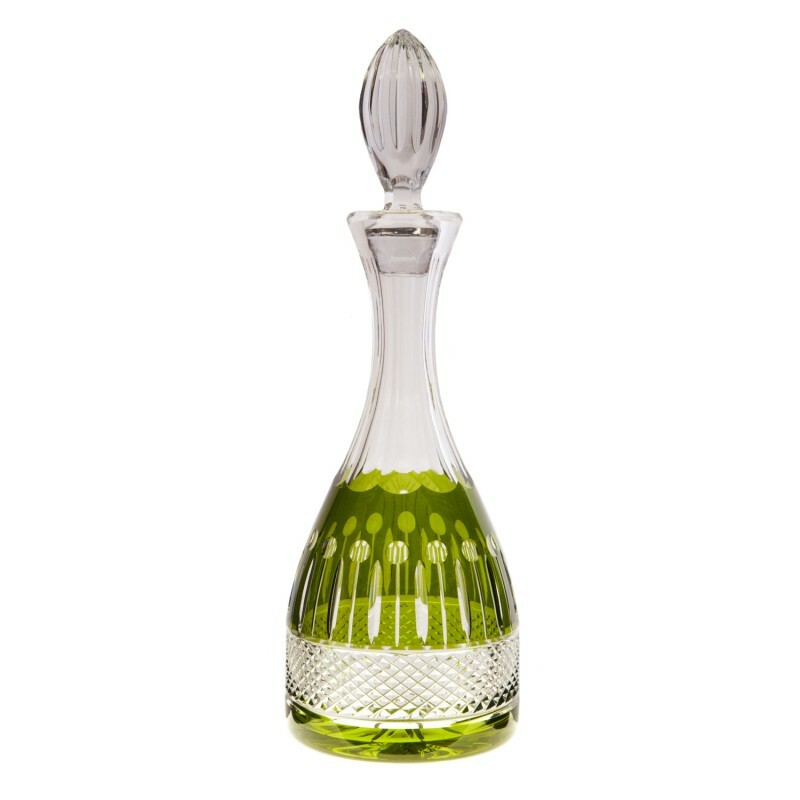 This hand made Rainbow Crystal Decanter in Olive Green by Gurasu Crystal is a classic, elegantly cut crystal decanter featuring a beautifully hand cut lace pattern with a vibrant olive green hue. Suitable for serving a chilled white wine or cordial, this beautiful crystal decanter will make a fabulous addition to your table. Presented in a stylish presentation box for the perfect gift.